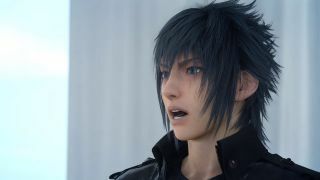 During a special livestream held late last night, Square Enix announced that three of the four DLC episodes planned for Final Fantasy 15 have been cancelled. It was also revealed that FF15 director Hajime Tabata has resigned from Square Enix and Luminous Productions, the new studio formed earlier this year using some members of the FF15 development team. DLC Episode 1: Ardyn is still scheduled to release in March 2019, but Episode Side Story: Aranea, Episode 2: Lunafreya, and Episode 3: Noctis have all been cancelled. This will not affect owners of FF15's original season pass, which only included episodes for the core cast. After Ardyn, no additional FF15 content will be released. A new teaser trailer for Ardyn was uploaded yesterday; you can watch it below. As GamesIndustry reports, these cancellations come on the heels of the $33m loss reported by Square Enix in its latest fiscal report. This loss was largely attributed to changes at Luminous Productions, which has been realigned to focus on "large-scale, high-quality AAA game titles." Tabata's resignation, which took effect last month on October 31, was announced early on in the livestream. "In regards to my next endeavors and near future," a translated statement from Tabata reads, "I have a project that I truly wish to solidify as my next challenge after FF15. For that reason, I have decided to leave my current position and start my own business in order to achieve my goal." Tabata's work on Final Fantasy began in 2004 with Before Crisis: Final Fantasy 7. He went on to work on Crisis Core: Final Fantasy 7, Final Fantasy Type-0, and Final Fantasy Agito. He was appointed director of Final Fantasy 15 in 2013, when the project shed the troubled title of Final Fantasy Versus 13. When I spoke to Tabata in 2016, he discussed wanting to do something "that we couldn't do as a complete project alone just inside Square Enix" and potentially "[cooperating] with someone to make something even bigger with another company somewhere." That was years ago, of course, so his professional goals may well have changed, but the sentiment makes me think Tabata's new business will be more expansive than an indie studio. (Not only that, but indie game studios are much rarer in Japan.) After seeing him salvage the scraps of Versus 13 and turn it into a compelling open-world JRPG, I'm interested to see what he does next. Here's a Final Fantasy 15 guide that will help you unlock some of the game's best features.